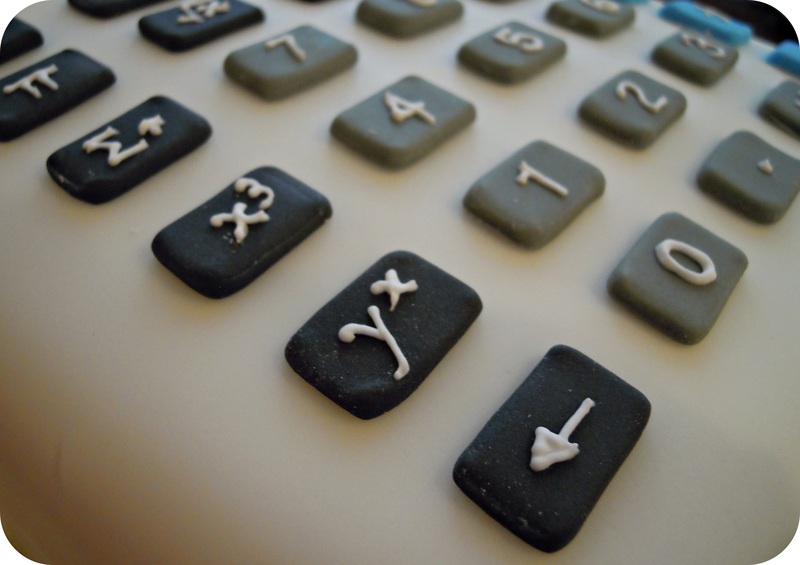 Calculator Cake & Back to School! The cake was red velvet with vanilla & raspberry buttercream, and fresh raspberries in between the layers. I would tell you that it was delicious, but I wasn’t at the farewell party so I can only assume! 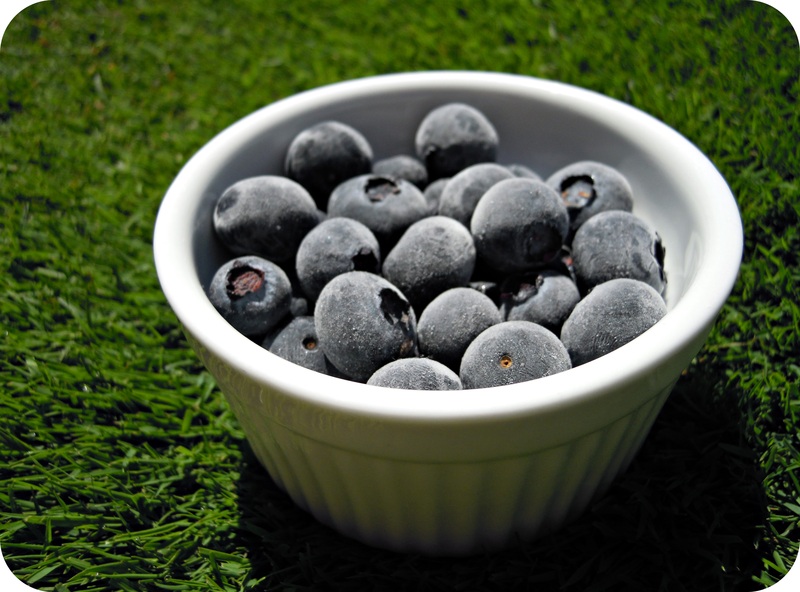 There has been an overwhelming about of blueberries in my house lately. So much so that we have resorted to freezing them to save for the upcoming blueberry-less months. When I went to bake lemon cupcakes the other day, it seemed as good a time as any to experiment with adding some fresh-frozen blueberries from the freezer. nonpareils, jimmies, sugar pearls, etc. 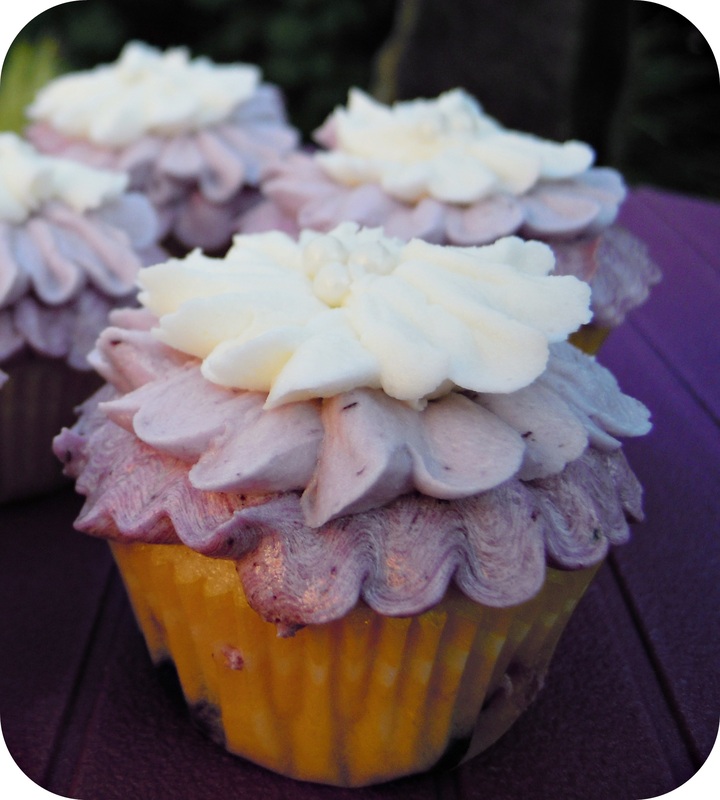 Divide your icing in half, and add blueberry compote to one half. 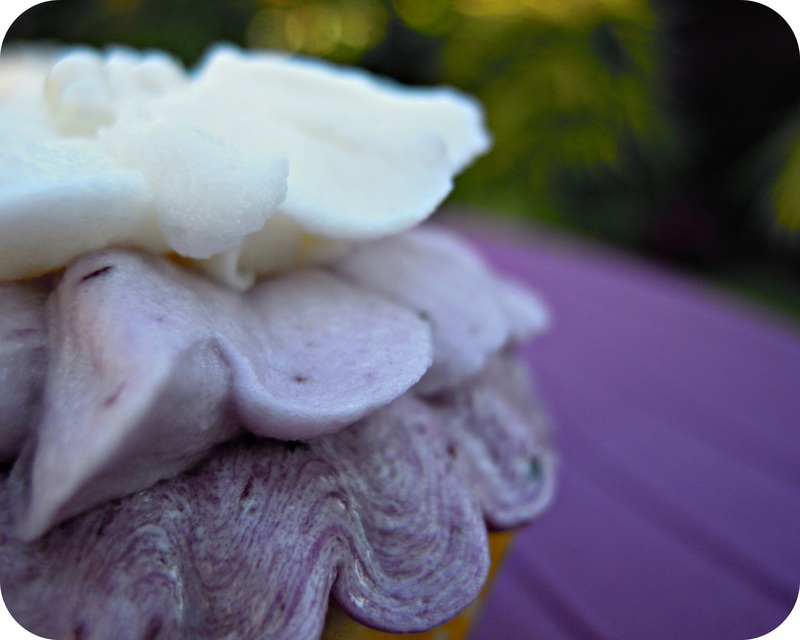 Pipe a ruffled ring around the outside of the cupcake using a petal tip. 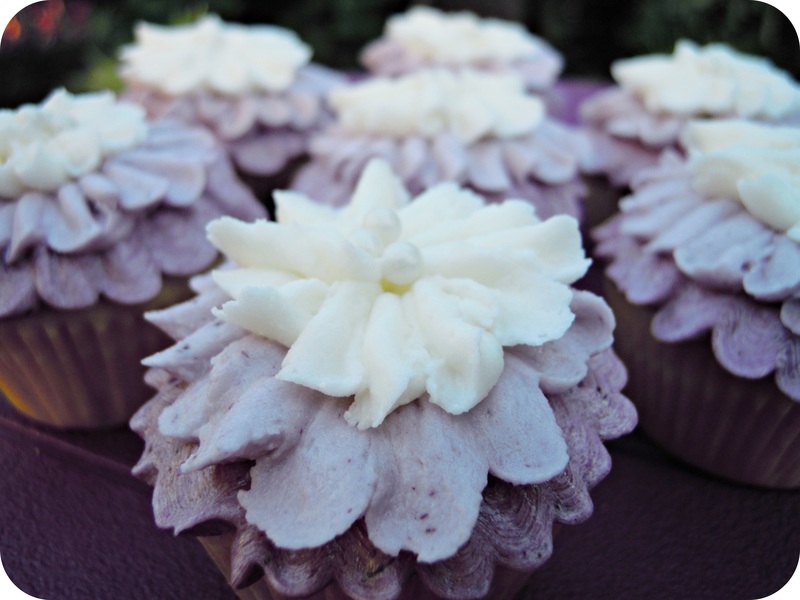 Add some of the remaining vanilla icing to the blueberry icing until a desired lighter colour is reached. 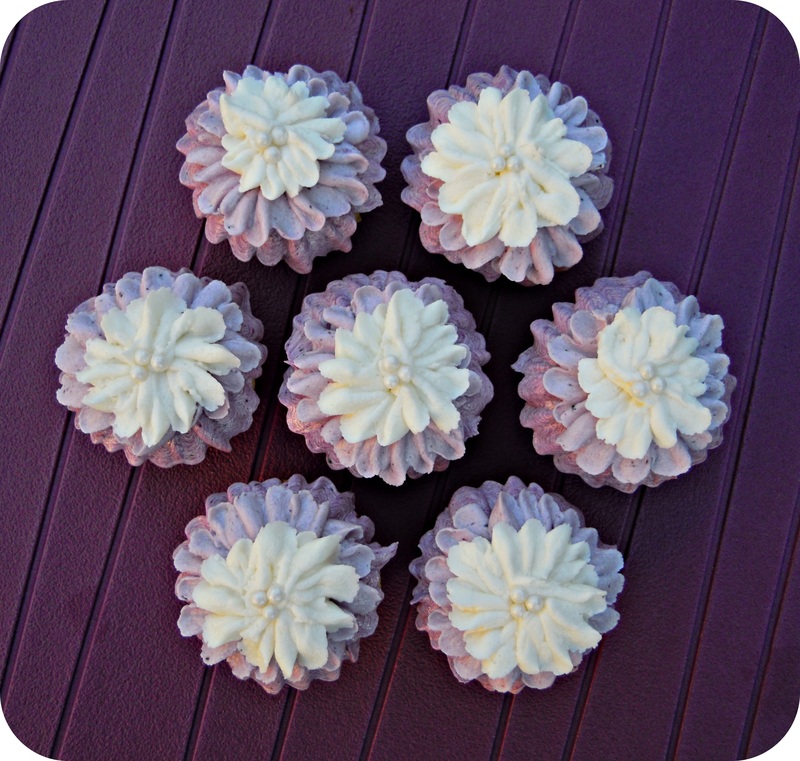 Refill the same piping bag, and pipe another ruffled ring around the inside of the first. 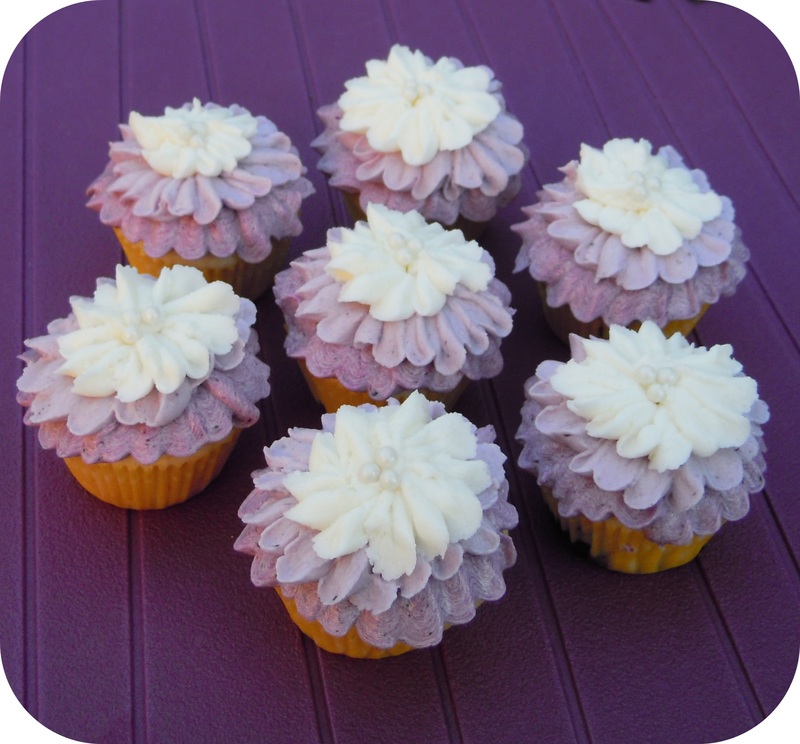 Using a new icing bag and a clean petal tip, use the remaining vanilla icing and pipe a ring in the middle. You can leave it as is, or garnish with nonpareils or sugar pearls. Preheat the oven to 350 F. Line 28 mini muffin tin cups with liners. In the bowl of an electric mixer, beat the butter, sugar and lemon zest on medium speed until blended and lightened in colour, about 2 minutes. Sift the cake flour, baking powder, and salt into a small bowl and set aside. Add the eggs one at a time, mixing until each is blended into the batter and it looks creamy, about 1 minute. On low speed and in 3 additions (3 flour, 2 milk), add the flour mixture and milk alternately, beginning and ending with the flour mixture. Mix just until the flour is incorporated and the batter looks smooth. Using a mini cookie scoop, fill cupcake liners. Bake for 12-15 minutes. 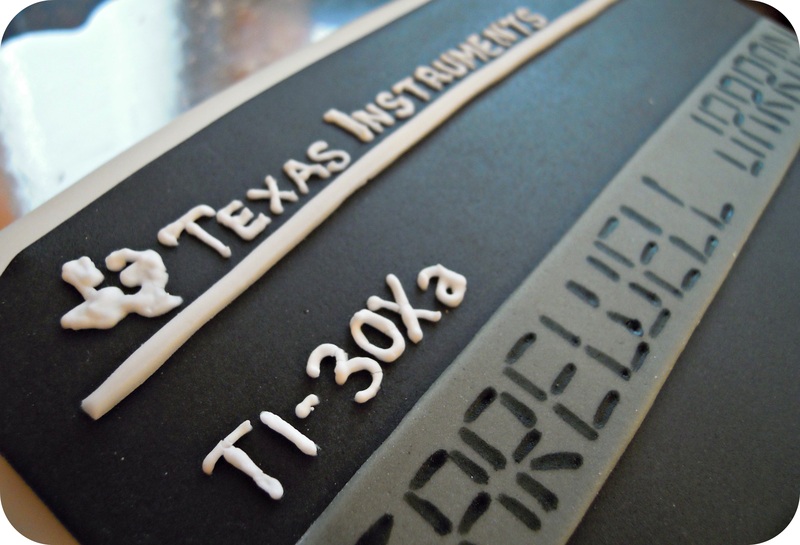 Cool completely before frosting. In a small saucepan set on medium heat, combine the first 4 ingredients to make a compote. Cook for 10 minutes, or until the mixture is thickened and the blueberry skins have burst. Remove from heat and strain to remove the skins. Refrigerate compote until fully cooled. In the bowl of an electric mixer, beat the butter and vanilla until smooth on medium speed using the paddle attachment. Gradually sift in icing sugar, and add the milk until desired consistency is reached; add compote to icing until desired blueberry flavour is reached. 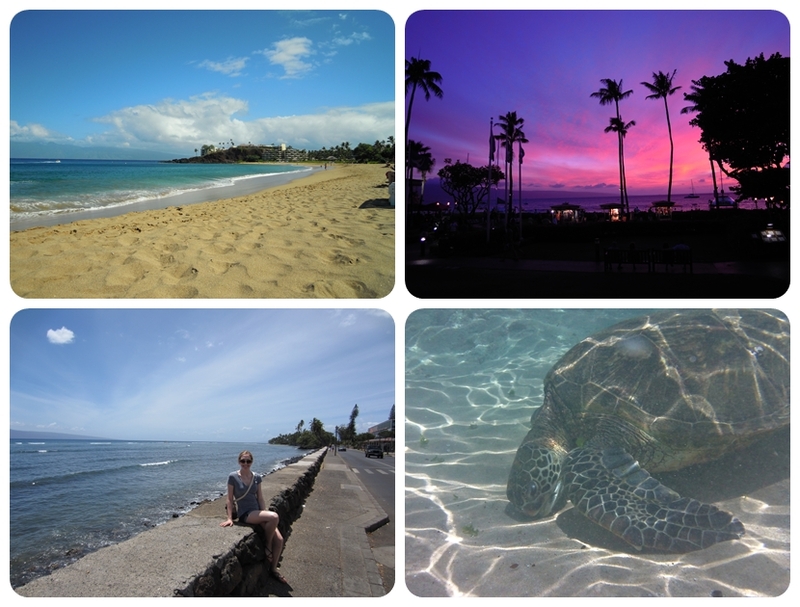 Bottom: (3) Lahaina town, (4) surprise visit from an underwater friend! See? 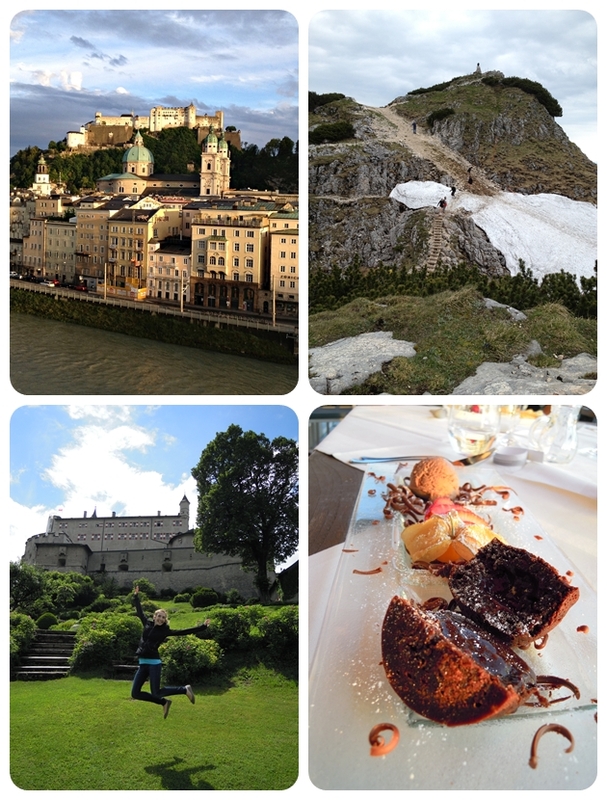 I wasn’t slacking on the cake front for no reason, I was a bit preoccupied with a trip to Maui and then to Austria! Now it is back to the real world though; I have a summer course starting up today and of course I am also back to my never-ending experiments in the kitchen! So anyways, when Father’s day rolled around this year I couldn’t be bothered making yet another “vanilla cake with chocolate icing”…it was time to switch it up! Several weeks ago my sister came home from a bridal shower with a huge chunk of mango cake (the kind you get from an Asian bakery). Lo and behold my Dad was an instant fan, so I made a mental note to attempt a replication for Father’s Day and it was a hit! 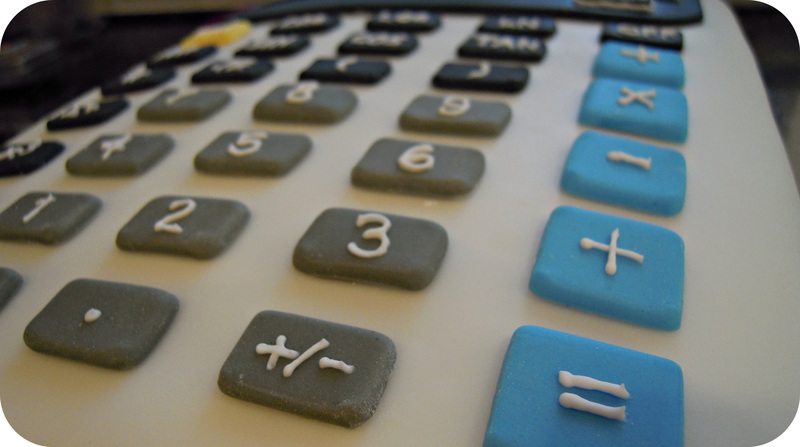 I will definitely be making this cake again. In Austria, I fell in love with the desserts because nothing was too sweet and the textures were extremely light. This cake definitely fit the same description. 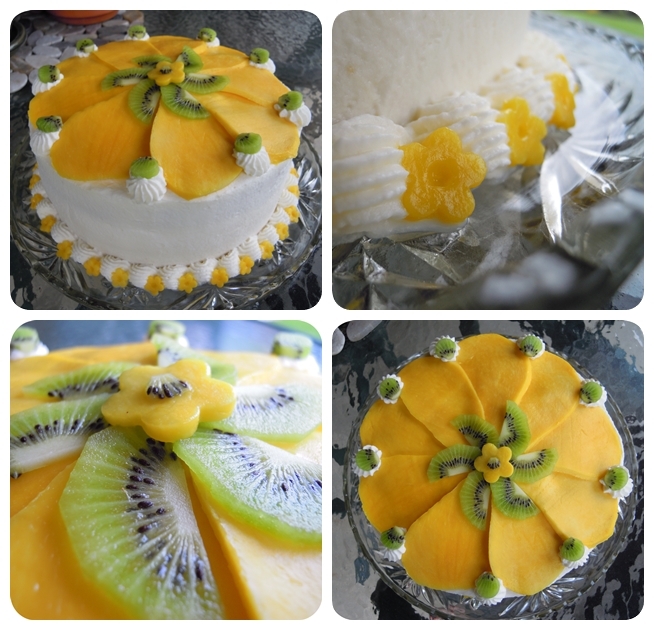 I made a very light sponge cake and used stabilized whipped cream for the frosting…I think the mango chunks in the middle also helped add some stability; although, next time I would add even more to make it more “mango-ey.” I can also see this cake being delicious with strawberries, raspberries or blueberries added to the filling as well! Yum! In a large bowl, beat egg yolks and 2 tablespoons of sugar until creamy yellow. Add vanilla, milk and oil. Sift together cake flour, baking soda and baking powder, then add to liquid ingredients. Fold in meringue mixture to batter until just combined. Pour into pan and bake for 30 minutes, or until cake tester comes out clean. Invert pan when taken out of oven and let the cake cool for 30 minutes before taking it out of the pan to prevent sinking.